With spring upon us why not meet up with old friends or have a family gathering at Carluccio’s in true Italian style. Eat with us and enjoy some authentic Italian dishes, like our Veganesca Spaghetti - a puttanesca style sauce of olives, capers, tomato, chilli, raisins and garlic - or chicken Milanese, chicken breast, rosemary & Grana Padano breadcrumbs, mixed leaves, baby plum tomatoes, mustard dressing. 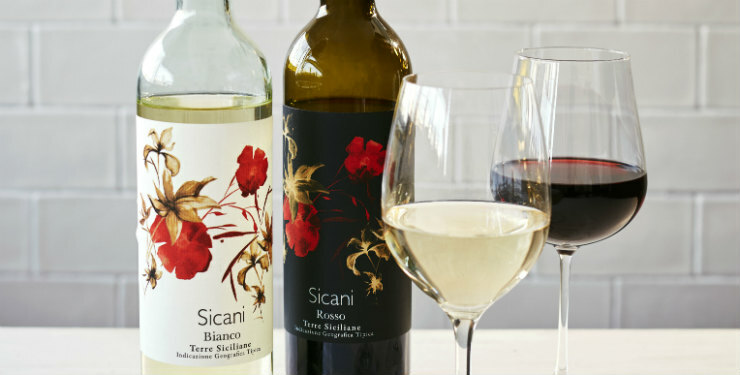 Join us and enjoy a bottle of our Sicilian Sicani wine on us - just order two mains from the a la carte menu, relax and enjoy a great meal. 1) Offer valid when ordering any two mains from the a la carte menu. 2) If the Sicani wine is not available you will get a £15.95 discount only valid on wine bottles from the a la carte menu. 3) Not valid with any other offers or set menu. 4) Maximum table of 6 people, with a maximum of 3 bottles of wine per transaction.